"Questions with Answers, Vol. 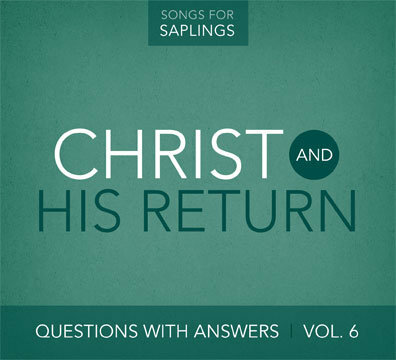 6: Christ and His Return" teaches children (and their parents!) about the great joy and hope of our faith! These songs rejoice in the completed work of Christ and His promise to return and bring us into His eternal presence. "Questions with Answers Vol. 6: Christ and His Return" teaches children (and their parents!) about the great joy and hope of our faith! These songs rejoice in the completed work of Christ and His promise to return and bring us into His eternal presence. Track Name: Did Christ Remain in the Tomb? Track Name: Where Is Christ Now? Track Name: Will Christ Come Again? Come, who is thirsty drink of the waters, come. Let the one who is thirsty come. Track Name: When Will Christ Return? 6. When Will Christ Return? When will Christ return? When will Christ return? When will Christ return again? But about that day or hour, no one knows. Not even the angels in Heaven, nobody knows. Nor the Son, nobody, nobody knows. But only the Father, the Father knows. Keep watch! Keep watch, you do not know. On what day your Lord will come, you do not know. Track Name: What Happens to a Man When He Dies? 8. What Happens to a Man When He Dies? And the spirit will go to either heaven or hell, heaven or hell. The spirit will go to either heaven or hell. The wages, the wages, the wages of sin is death. But the free gift, the free gift, the free gift is eternal life in Christ. The free gift, the free gift, the free gift is eternal life. Romans 6, verse 23, eternal life. 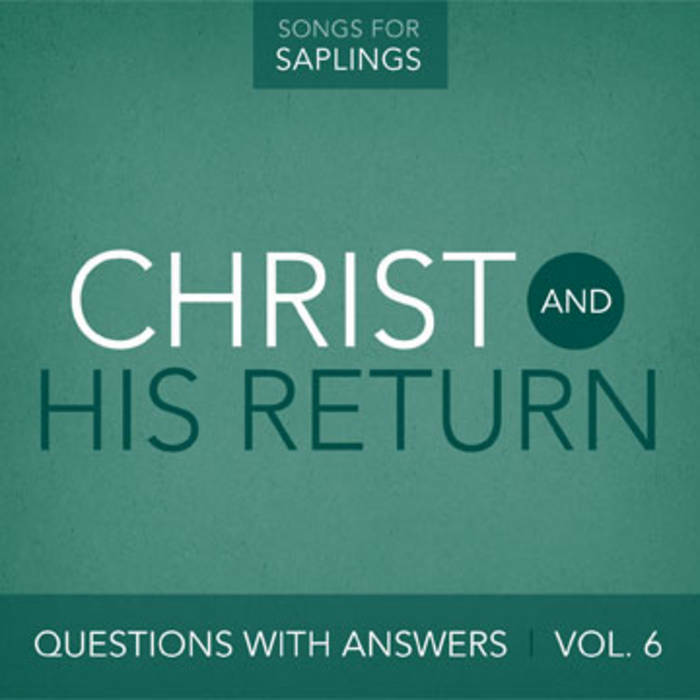 Track Name: What Will Happen When Christ Returns? Track Name: What Will Happen to the Wicked on Judgment Day? Track Name: What is the Lake of Fire? 11. What is the Lake of Fire? If your hand causes you to stumble (cut it off). If your foot causes you to fall (cut it off). Mark 9:43, thrown into hell. Track Name: What Will Happen to Every Christian on the Last Day? Track Name: What Will the New Heavens and the New Earth Be Like?